I was watching the Amazing Race tonight and saw 2 segments in Holland being hugger-focused! They had to find city bikes, and ride them 5 miles. 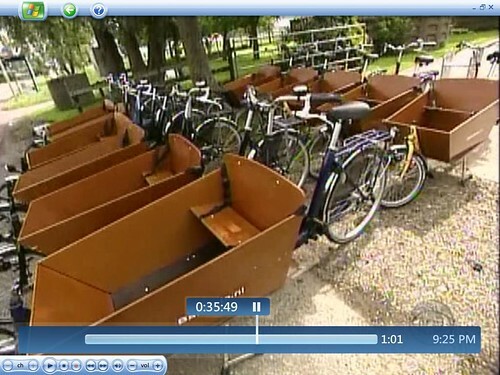 Then they had to put one person in the front of a Bakfiets and roll to the finish. Now everybody in the states is going to want one.